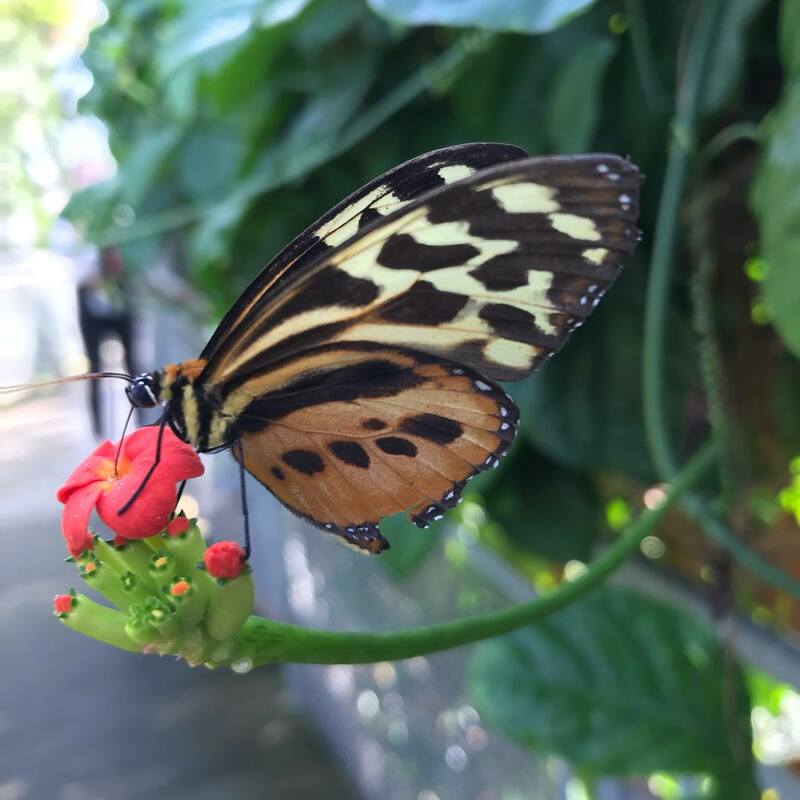 The Cleveland Botanical Garden’s recently-opened “Amazing Butterflies” exhibit checks all the boxes that I like to see when I take my sons to a new attraction: educational, fun for kids, and interesting for adults. Spring is a great time to visit the botanical garden as it is — things will soon begin to bloom outdoors, and the Glasshouse, with its spiny desert of Madagascar and rainforest of Costa Rica habitats, offers a cozy retreat on rainy, gray days — and Amazing Butterflies adds even more to the experience. Visitors transform from caterpillars into butterflies in a giant, interactive maze with activities around every turn, including a leaf climb, caterpillar crawl, bean bag toss, climb-on spider’s web, climb-in pupa pods, and more. The maze ends with a butterfly zip line. Aside from the fun, each station educates parents and kids about nectar, lifecycles, mating and more. After completing each activity, kids can earn a stamp on their scavenger hunt card. My boys’ favorite areas were the bean bag caterpillar feed, spider’s web, and pupa pods. We went the first week the exhibit was open, on a day when many area schools were on spring break. While it likely was more crowded than usual, staff did a good job spacing out the groups entering the maze, the kids had enough time to try all the activities before we needed to move on to give the next family a turn. The botanical garden’s regular butterfly collection also is highlighted during the exhibit. The day I took my kids, there were additional live butterfly releases planned for certain times. In addition to the maze, there are chalkboards with butterflies to color located in the waiting area to entertain little ones if the line to get into the maze is on the longer side. Upstairs, families can find butterfly costumes and a selfie station; a chalkboard wall, and butterfly- and nature-themed toys. Outdoors, the Hershey Children’s Garden will open on April 2. Amazing Butterflies is open through April 28. For more information, including hours and admission, click here.